Earl Thomas, S (Ravens): Four years, $55MM, $32MM guaranteed. $20MM signing bonus. Base salaries: $2MM, fully guaranteed (2019), $10MM, fully guaranteed (2020), $11MM (2021), $12MM (2022). Contract notes via Pro Football Talk’s Mike Florio. Anthony Barr, LB (Vikings): Five years, $67.5MM, $33MM guaranteed. $13MM signing bonus. $39MM through first three years of deal. Twitter link via Manish Mehta of New York Daily News. Adrian Peterson, RB (Redskins): Two years, $8MM. $1.5MM signing bonus. Base salaries: $1.03MM (2019), $2.25MM (2020). $1.5MM in incentives per season. ESPN link via John Keim. Cole Beasley, WR (Bills): Four years, $29MM. $10.7MM guaranteed, $6MM signing bonus. Base salaries: $2.2MM (2019), $4.4MM (2020), $4.7MM (2021), $4.9MM (2022). Contract details via Mike Florio of ProFootballTalk.com. Darryl Roberts, CB (Jets): Re-signed. Three years, $18MM. $18MM is maximum value, with game-day roster bonuses (no incentives or escalators). Twitter link via Mehta. Anthony Barr won’t be signing with the Jets after all. The linebacker’s contract has been called off, according to Mike Garafolo of NFL.com (on Twitter). Instead, he’ll re-sign with the Vikings. The Vikings gave Barr a five-year deal worth $67.5MM, Ian Rapoport of NFL.com tweets, with $33MM of this pact being guaranteed. Incentives can raise Barr’s earnings to $77MM. This is pretty shocking news, as the contract with New York was reported as having been a done deal last night. His deal with the Jets was reportedly going to pay Barr over $14MM annually, so it sounds like he took slightly less to stay in Minnesota. Manish Mehta of The New York Daily News tweets that the Vikings sweetened their initial offer, which helped sway Barr to change his mind. Barr’s desire to remain in Minnesota helped make up for the slight disparity between the two proposals, Mehta adds (on Twitter). As for the money Barr did receive, it will make him the second-highest-paid off-ball linebacker in the game. The Jets’ C.J. Mosley deal tops the list, by a considerable margin. Both of this week’s deals set a new high bar for what had been a stagnant market, with Jamie Collins‘ 2017 Browns deal being non-rush linebackers’ high-water mark for nearly two years — prior to Cleveland cutting Collins. 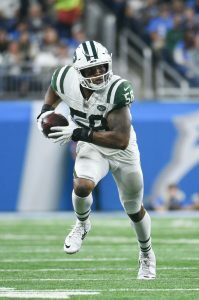 Rapoport writes that it’s now “decision time” for Bell, as the Jets appear to have made their final offer. The Jets have been saying for months they were going to be aggressive in free agency, and they’ve certainly delivered on that promise. The Jets have been the team most consistently linked to Bell, and they seem to be the frontrunner for his services as of now. Barr has spent his entire five-year career with the Vikings, earning four Pro Bowl nods along the way, and had always maintained that he wanted to stay a Viking. The former first-rounder had another standout season in 2018, finishing with 55 tackles, three sacks, and one forced fumble. The Vikings ultimately decided to pass on franchising Barr, a move that would have cost $15.9MM. This represents another major Vikings investment in their homegrown core, with Barr joining numerous defensive starters in being signed to long-term deals. This also figures to scratch a possible move to more of an edge-rushing role. 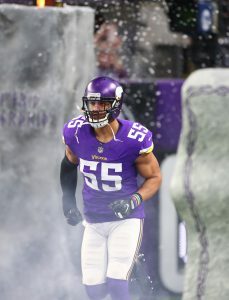 The Jets were planning to incorporate more of Barr’s college-years edge work into their scheme, but with the Vikings, the five-year veteran has consistently worked as an off-ball linebacker. It appears he is comfortable in this role and will not be leaving the Twin Cities. With the Jets expected to sign Anthony Barr, the team is apparently looking to move on from one of their current linebackers. 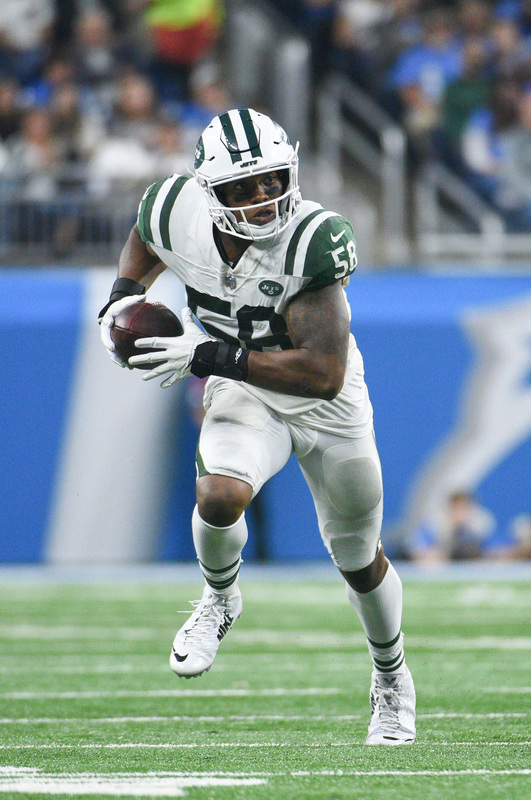 Manish Mehta of the New York Daily Post reports that the team sought a linebacker upgrade “with the hope of ultimately moving on” from former first-rounder Darron Lee. To be clear, it doesn’t necessarily sound like Barr will replace Lee in the literal sense. The free agent addition is expected to be an “off-ball” linebacker, according to ESPN’s Rich Cimini (on Twitter), a role that Barr’s familiar with from his days at UCLA. As Mehta explains, new defensive coordinator Gregg Williams was seeking a linebacker who would play a role that was similar to Jamie Collins‘ in Cleveland last season. Still, the Jets are expected to team up Barr with Avery Williamson and then “explore their remaining options for Lee,” according to Mehta. The 24-year-old hasn’t emerged as a bona fide playmaker during his three seasons in the NFL. Lee did tally 94 tackles and three sacks in 2017, but he took a step back in 2018, finishing with 74 tackles and no sacks in 12 games (he did compile a career-high three interceptions). The linebacker was suspended for the final four games of the 2018 season after violating the NFL Policy and Program for Substances of Abuse. Mehta writes that the suspension “triggered a forfeiture of his guaranteed money,” meaning the Jets could move on from Lee without taking a significant financial hit. The defender is set to make $1.8MM in 2019. Anthony Barr is heading to the Big Apple. ESPN’s Adam Schefter tweets that the veteran linebacker intends to sign with the Jets. Terms of this deal reveal how high the Jets are on Barr, with Tom Pelissero of NFL.com reporting (via Twitter) the former Vikings ‘backer will earn more than $14MM per year. If the Jets are planning to use Barr as an off-ball ‘backer, that would be far and away the top such contract in the league. However, they may be planning something different. The Vikings used Barr as a 4-3 outside linebacker, but at UCLA, the eventual 2014 first-round pick played as an edge player. Barr stands to return to that role, per ESPN.com’s Rich Cimini (on Twitter). This will be a fascinating experiment, in that event, and the Jets stationing Barr on the outside means they did not pay top-market price to land him. While Barr is not an experienced NFL pass rusher, he registered 23.5 sacks between the 2012-13 seasons for the Bruins. Gregg Williams plans to keep the Jets as a 3-4 team, so it looks like Barr will serve as one of the team’s outside linebackers. The Jets entered free agency expected to aggressively pursue that position, and their No. 3 overall pick may be used on it, too — if Gang Green hangs onto it. We heard earlier today that the Jets were eyeing the soon-to-be 27-year-old Barr. 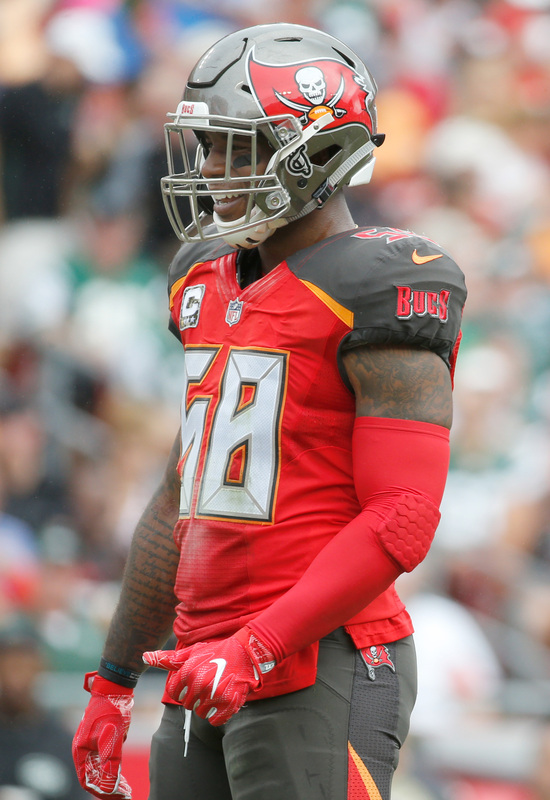 This morning, the team whiffed on Kwon Alexander, who ultimately agreed to a lucrative four-year deal with the 49ers. The Jets then shifted their focus to Barr, and the two sides apparently agreed to a deal relatively quickly. The linebacker had spent his entire five-year career with the Vikings, earning four Pro Bowl nods along the way. The former first-rounder had another standout season in 2018, finishing with 55 tackles, three sacks, and one forced fumble. The Vikings ultimately decided to pass on franchising Barr, a move that would have cost $15.9MM. The Jets are stepping up their pursuit of linebacker Anthony Barr, according to a source who spoke with Ralph Vacchiano of SNY (on Twitter). It’s the logical next step after the Jets missed out on Kwon Alexander, who just agreed to sign a whopping four-year, $54MM deal with the 49ers. Barr, who turns 27 on March 18, has spent his entire five-year career with the Vikings thus far. He’s earned Pro Bowl nods in each of the last four seasons, but the Vikings passed on the opportunity to tag him for $15.9MM. Barr was employed as a 4-3 ‘backer in Minnesota, but he was a 3-4 outside linebacker at UCLA and could refocus his efforts on the pass rush. New defensive coordinator Gregg Williams was widely expected to flip Gang Green to a 4-3 look, but he’s reportedly going to keep things consistent with a 3-4 scheme. In college, Barr amassed 23.5 sacks in his last two years in Westwood. In the NFL, he has never tallied more than four sacks in any given season. Last year, Barr had three sacks to go along with 55 tackles across 13 games. 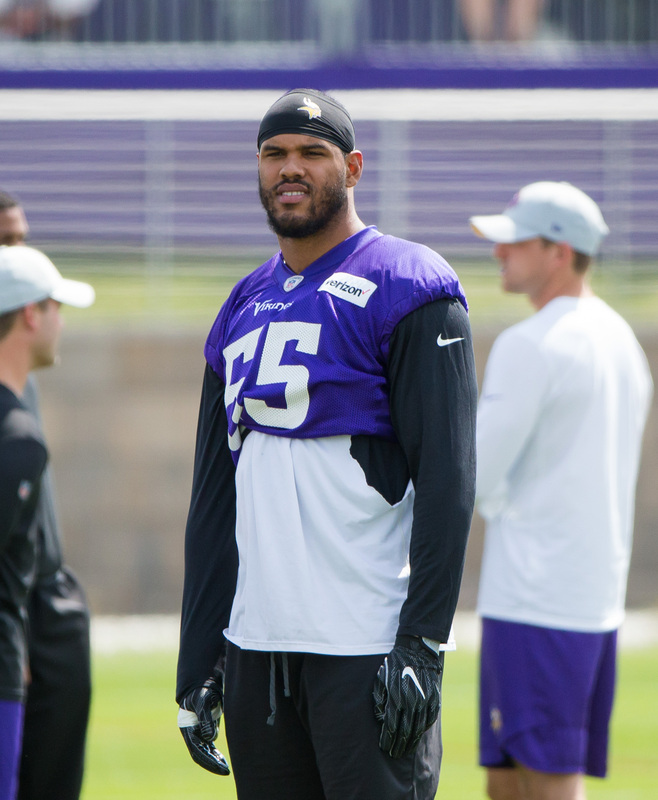 Anthony Barr has made the Pro Bowl in each of the past four seasons and has been a stalwart on the Vikings’ defense since Minnesota drafted him with the 9th overall pick of the 2014 draft, but it appears the two sides are headed for a parting of the ways. Per Andrew Krammer of the Star Tribune, there is no indication that Barr and the Vikings have recently engaged in contract talks, and given the cost of the franchise tag for linebackers ($15.9MM), Minnesota is highly unlikely to tag him. As such, Barr is set to hit the open market, and he will surely get paid handsomely. He was a 3-4 outside linebacker at UCLA –racking up 23.5 sacks in his last two years with the Bruins — and though he converted to a 4-3 ‘backer when he came to the Vikings, his pass rushing abilities have not left him. As Krammer observes, Barr has twice been rated Pro Football Focus’ most efficient blitzing linebacker, including the 2018 season, though he has been one of the league’s top 10 most frequent blitzers just once in his first five years in the league. 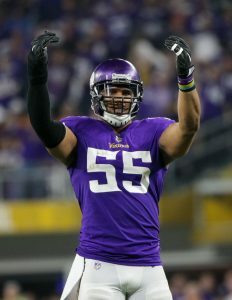 The Vikings’ defense fared well when Barr was sidelined for several games last season, and with much of their veteran defensive core already under contract for the long-term, it seems unlikely they will bring Barr back unless they get him on a team-friendly deal. Though they approached Barr about an extension last summer, it does not appear they ever came close to an agreement. Per Krammer, Barr said that Minnesota’s offers were not what he expected. He should have more luck when free agency opens on March 13.